London is filled with an amazing collection of parks, gardens and green spaces. 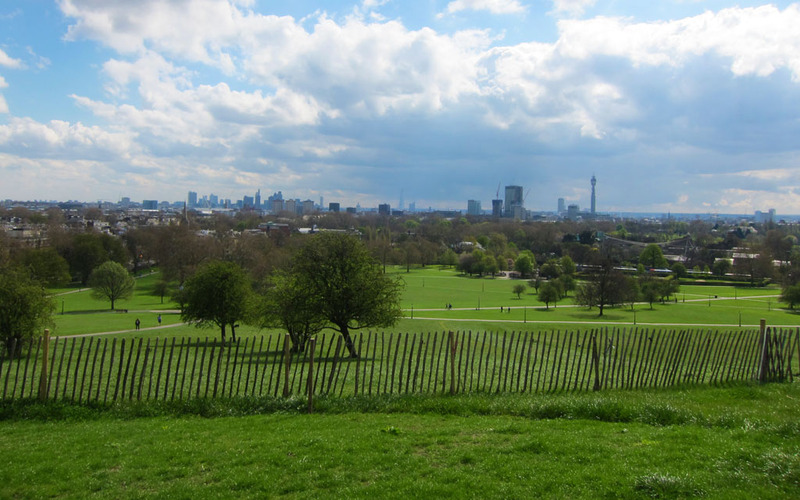 Among them, Primrose Hill – my favourite park and also my all time favourite spot in London. Primrose Hill the area and the hill itself are known mostly by locals and not tourists, you won’t find them on the usual tourist map. This surprises me a great deal as the hill provides one of the most spectacular views of the city. I loved nothing more than sitting up on the hill watching not only the clouds roll in but also the steady stream of planes as they circled above waiting for their turn to land at Heathrow. Sometimes it was possible to see ten or more planes up there. The hill also provides a great place to people watch from. 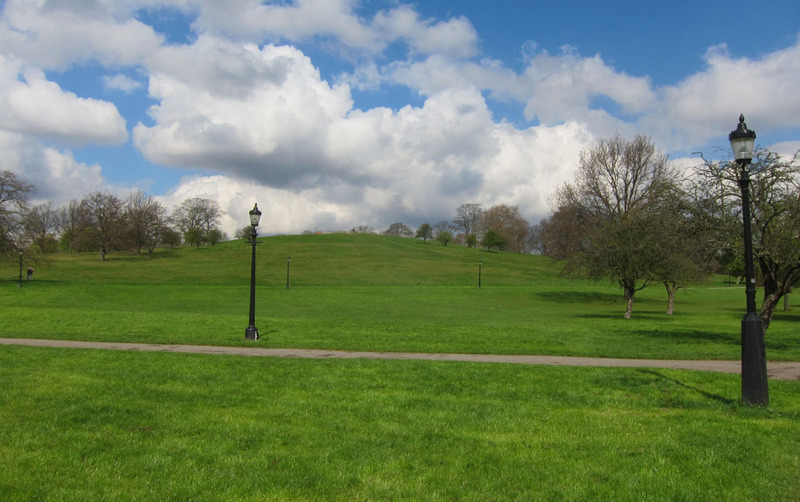 Primrose Hill is also a known haunt for celebrity spotting; some of my friends have seen the likes of Jude Law, Gwen Stefani, Chris Martin and Jamie Oliver. I however had no such luck, despite how hard I looked. If you have time I suggest taking a stroll along Regent’s Park Road (Primrose Hill’s high street), which has lots of lovely cafés, bakeries, delis, florists and boutiques. From this short walk you’ll feel like you’ve somehow transported yourself from the busy, bustling London city streets to a quiet, quaint village, when in fact you’re only about 10 minutes away from the boisterous Camden scene. If you’re in need of a caffeine fix you can’t go past The Little One Coffee Shop. Well actually you can walk straight past as it’s so tinnie tiny but make sure you don’t as it serves up delicious Monmouth Coffee. If you’re not one for coffee, don’t despair there are also tasty sweet and savoury crepes and freshly baked muffins to keep you satisfied. Whenever I’m in the area I make a point of visiting this super cute and super tasty little bakery that serves up the most delicious, fun and lovingly handmade cupcakes full of rich moist chocolaty goodness. 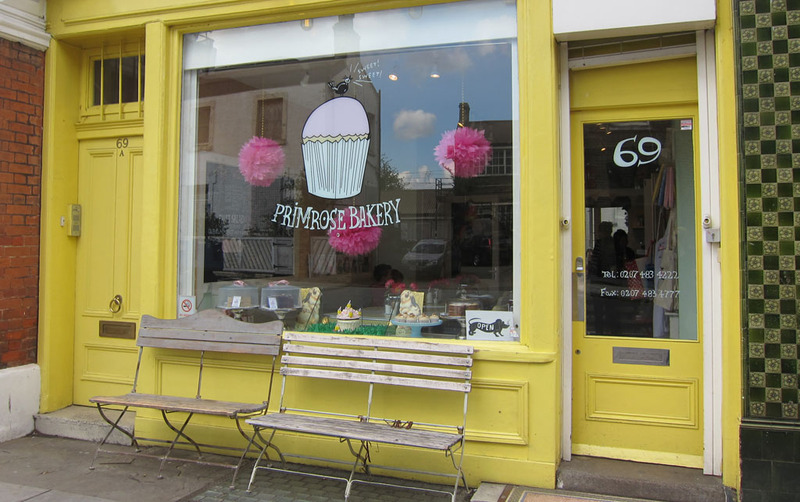 Of course not all the cupcakes at Primrose Bakery are of the chocolate variety, there are lots of different flavours to choose from such as your classic vanilla and carrot, to the more exciting kinds of maple syrup and pecan, malted marshmallow, plum, peanut butter, mocha and earl grey. If for some reason they do not tickle your fancy or you’re not in the mood for cake they also serve up hot pots of tea, toasted crumpets and a range of homemade biscuits. The bakery itself is small with only handful of patrons being able to sit in. However it is extremely cosy and inviting. There’s actually a really nice feeling that you’ve just stepped into someone’s kitchen as you enter, a kitchen that has the kettle on and a cake baking away in the oven. The pastel coloured walls, playful bunting, retro furnishings and the mix matched collection of vintage teapots, tea cups and saucers all play apart in creating this homeliness. 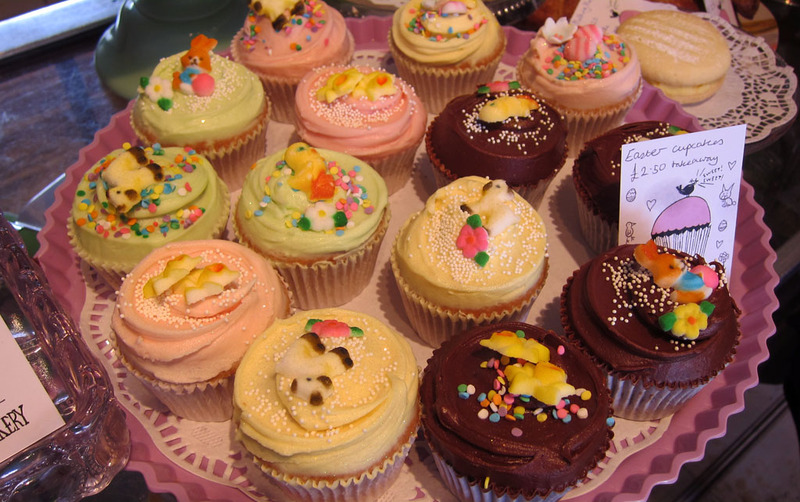 The bakery also serves up a selection of mini cupcakes that are not only of a novelty size but in a moment of weakness or great indecision allow you to satisfy your cupcake craving with a variety of different flavours. Great spot with incredible views of London.